We found the preserve easily, parked in its ample lot, and started walking at 9:25. The entrance kiosk was incredibly informative, with checklist of birds by season, birds seen recently, ID tips, silhouettes, maps, and so on. 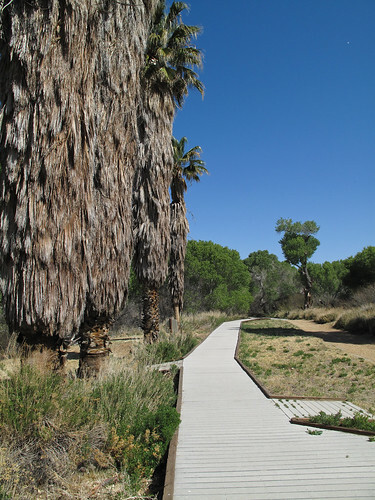 After picking up a map we headed out on one of the boardwalk paths that dot the preserve. A half-dozen House Finches squabbled noisily in a cluster of plam trees, and as we watched them, a flash of red! I knew that Vermilion Flycatchers were a target bird here, so I was hopeful that this was one. A bit of searching refound the bird, which turned out to be a Summer Tanager (LIFER!). Although not a VEFL, I’m not one to complain about any new bird! A woman with rather a lot of bird-related hat pins approached and I asked her if she had any tips for first-time visitors. Turned out I asked the right person, as she was one of many volunteers who walk the trails here, helping folks identify birds and pointing them to rarities. As we talked, a Green Heron flew by, the first I’d seen in a couple of years. Just a few minutes in and I already had a year bird and a life bird – this was shaping up to be a productive walk! After talking to the docent for a few minutes, we continued on our way. There are many paths to choose here, and they’re all very well-signed. Ours traced a hillside along a reedy area. We saw a Cooper’s Hawk land in its nest atop a nearby tree, stay for a few, and then leave again. 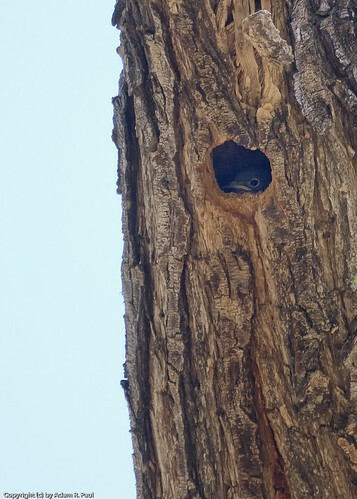 Emerging from a tree, we spied a Ladder-backed Woodpecker (LIFER!) 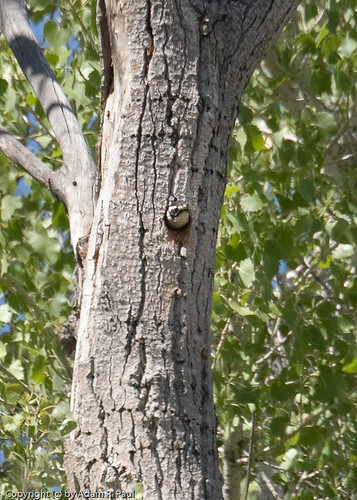 coming out from its nest, the first of a bunch of woodpeckers we would see here. The Ladder-backed looks similar to the Nuttall’s Woodpecker, which we were to see a bit later. 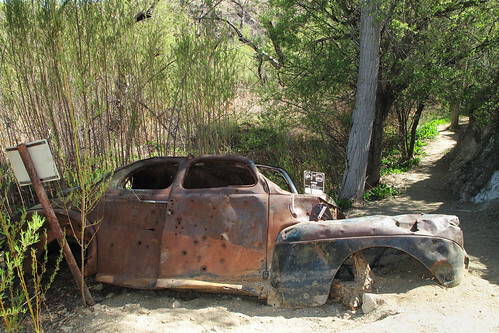 A rusty mangled car seemed rather out of place, since as far as we could tell, there were no roads nearby. The car looked mid-50’s or so, though, so perhaps there was a road here at that time. We came to a clearing in the middle of a reedy patch, with ample benches and a large deck from which to observe the wildlife. 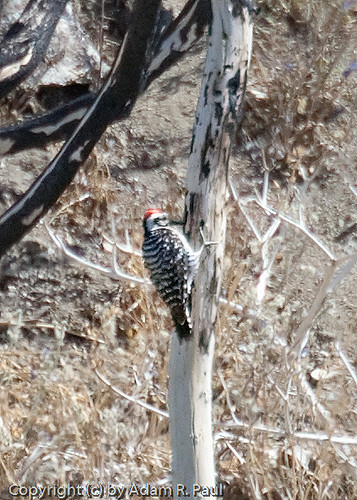 A trio of Ladder-backed Woodpeckers flew to and fro, giving us great looks. 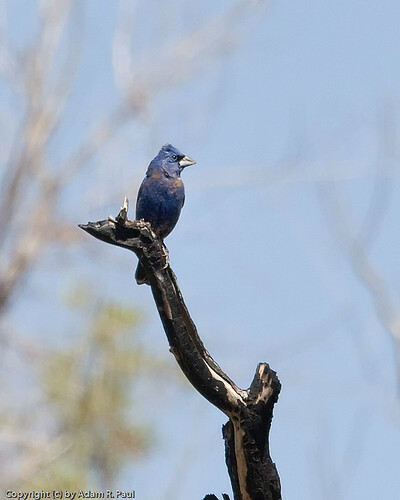 A beautiful Blue Grosbeak, another year bird for me, posed on a snag for a moment before flying off, and a constant sound of chirping and tweeting told of many unseen birds in the underbrush. We stayed here for a little while, enjoying the sounds of so many animals all around us, then continued on our way. 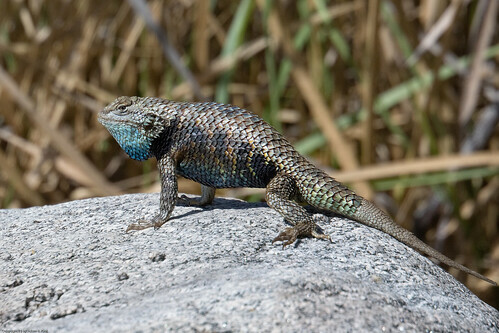 A colorful Desert Spiny Lizard ran out onto a rock and did a few pushups, then scampered off behind a stump. As we strolled along another boardwalk path, we met some more birders. One elderly woman asked if we’d seen the baby owls. “No, but where are they?” we replied. She thought for a moment, and then said she would be happy to walk us to their nest, even though she’d been walking all morning. 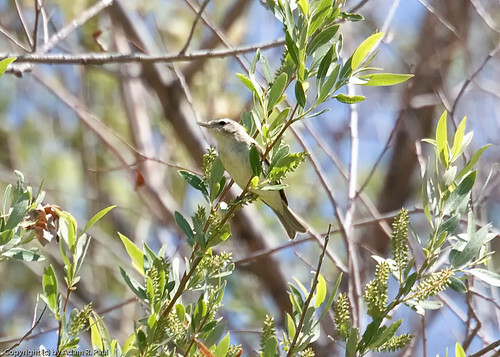 Along the way she pointed out a Bell’s Vireo (LIFER! 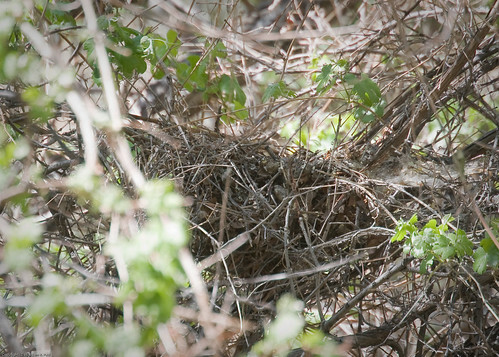 ), an endangered bird, and perhaps a quarter mile down the path there it was, a big twiggy Long-eared Owl’s nest. She said there were three owlets, but we saw only two (not that I minded, especially as these were my first Long-eared Owls ever). 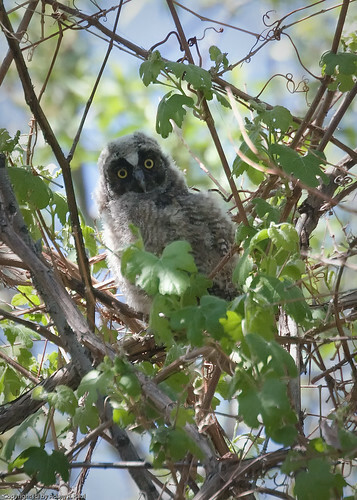 They were terribly cute, and peered at us with their wide yellow saucer-eyes, as if to ask “what are you doing in my wood?” We spent a fair while here, watching the owlets, and hoping to catch a glimpse of a parent, which we didn’t. 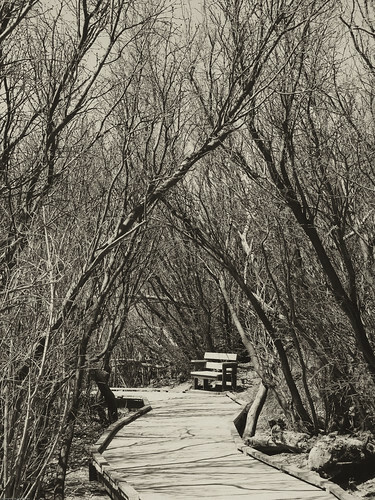 We continued looping around, again on a nice boardwalk path with ample benches to rest and/or observe. 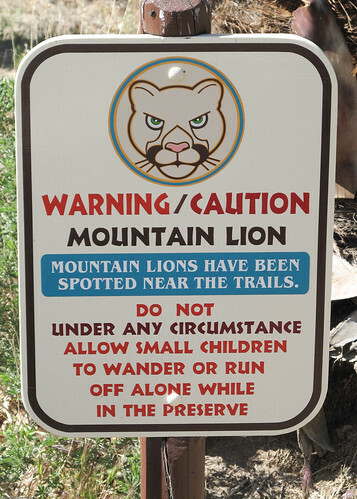 This eastern part of the park was quieter. 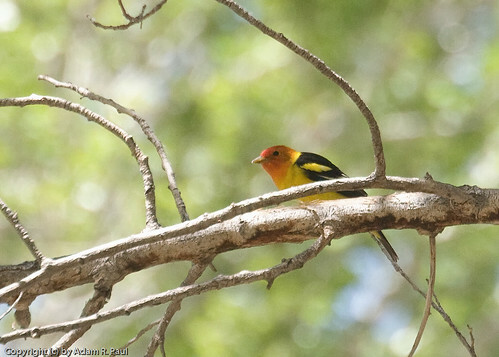 A colorful Western Tanager, one of many we’d seen, semi-posed. Although I’ve seen plenty of this bird, I never quite manage to get them in very good light, and they don’t hang around for long. Away from the marshy reedy area and its attendant trees, the landscape was decidedly more desert’y (and warm). Although we were only perhaps 20 miles from Joshua Tree, it was hotter here, as we transitioned between the Mojave and Sonoran deserts. We soon came back to the entrance kiosk and another birder pointed out some Bewick’s Wrens nesting in the eaves. Several folks had told us that Vermilion Flycatchers were easy to find at the city park adjacent to the preserve, so we headed over there to see if we could find any. 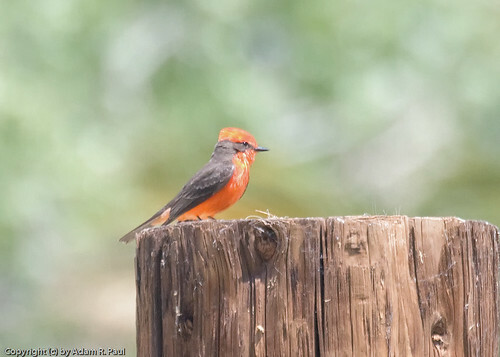 … Vermilion Flycatchers (LIFER!). The male VEFL is very easy to see and identify, thanks to its flaming red head and breast, and we saw a good many of them flycatching from fence tops and twigs. 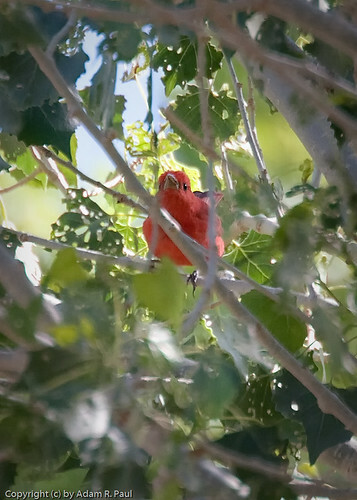 We were stoked to have seen not one, but two crimson birds on this walk (the other being the Summer Tanager we saw when we started), as there aren’t very many red birds in the western US. A kingbird perched high on a tree, but it didn’t look right for the relatively common Western Kingbird. 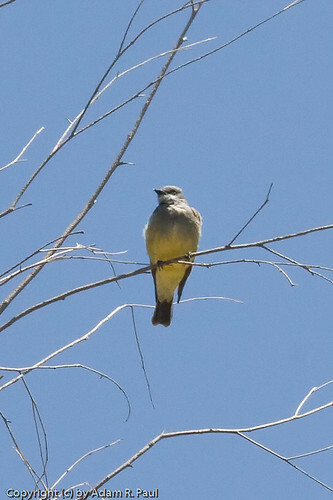 Some thumbing through our field guide showed it to be a Cassin’s Kingbird (LIFER!). A *knock* *knock* and a flash of black and white led our eyes to a Nuttall’s Woodpecker (LIFER!). Similar to the Ladder-backed, the Nuttall’s has a much darker black “shroud” over its shoulders. Several houses across the street from the park clearly belonged to birders judging by the dozens of various feeders strung along their front yard, so we took a gander and found a bird that took me some time to identify. 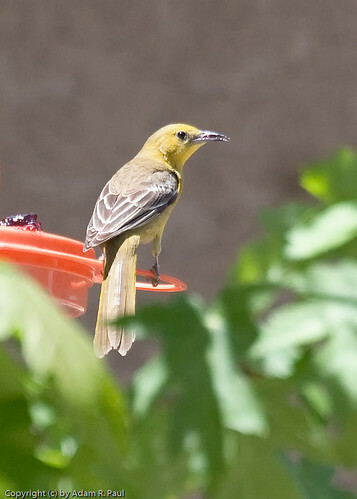 I finally (and much later) figured it out – a female Hooded Oriole (LIFER!). Also near the feeders were American Goldfinches, a Wilson’s Warbler, more Western Tanagers, a Lesser Goldfinch, and an Anna’s Hummingbird. 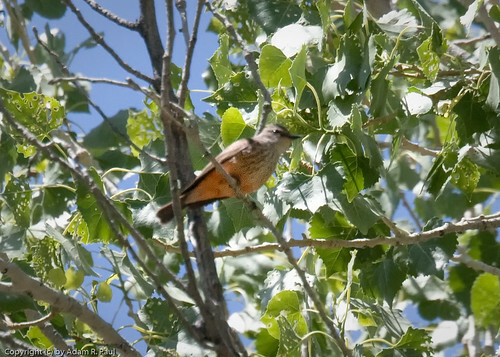 We returned to the park and saw yet more Vermilion Flycatchers, doing as flycatchers do – perching on a high point, then flying out to catch a few insects, then returning. Somebody’s stringy nest clung precariously under a palm leaf, but we didn’t see anything come or go, so we’re not sure whose nest it was. 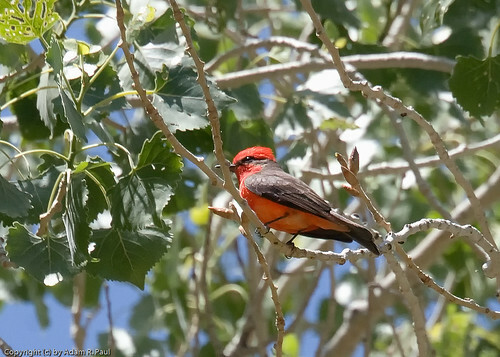 Right as we were leaving, I saw a female Vermilion Flycatcher up in a tree. Although much less flashy than their male counterparts, they’re attractively colored and patterned. Lastly some commotion in a tree caught our eye, and we watched as a Cooper’s Hawk jumped from branch to branch, obviously looking for a nest to raid! 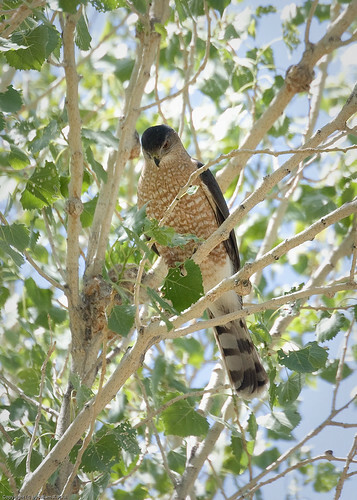 We held our breath as it stuck its head into a nest in the crook of some branches, and were relieved to see it come back up empty-beaked (although the likely baby Cooper’s Hawks would be much less enthusiastic about this result!). Our bird appetite sated, we headed back to the car and continued on our way toward Palm Springs. Big Morongo Canyon is definitely one of the best places I’ve birded. Although we did not see a tremendous variety of species, many were nesting, and many are hard or impossible to see in other regions. This is definitely a must-visit for any birder in the area, and I look forward to returning sometime! 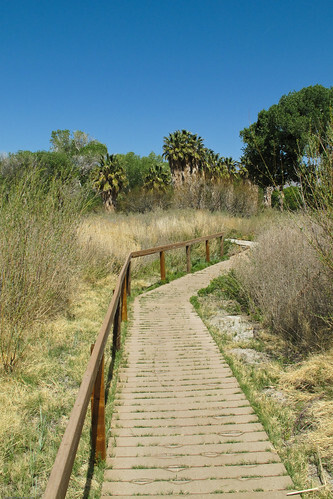 Part IX – Big Morongo Canyon, AKA Birding Paradise <– You are here! Absolutely love the Sceloporus picture. With only a few species of lizards here in Ohio, I need a good reptile pic fix every once in a while, and your image did not disappoint. Thanks, Tom! If you haven’t yet, check out the previous post (here) – lots of lizards therein! I just love your enthusiasm. 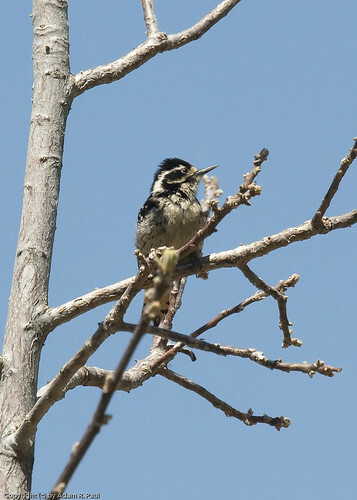 Thanks for sharing the bird pictures…again, I learn so much from your birding experiences. This looks like a great place for a walk! Thank you, Vivienne! It was a wonderful surprise, to be sure. What a great reserve! The amount of birds you spotted is commendable! Yep, I was quite pleased to see so many life & year birds in one short walk, and in my home state no less! Wow You had some good sightings. Excellent photos too. 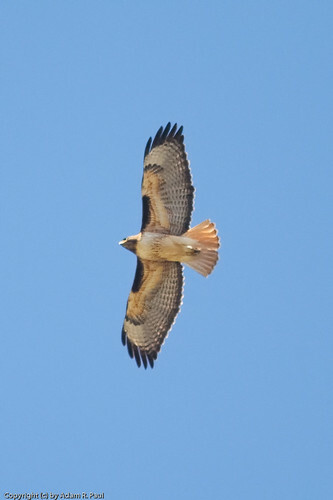 I love the red tail hawk… perfect photo!!! Welcome, and thanks for the kind words, Rita! Great photos, Adam. 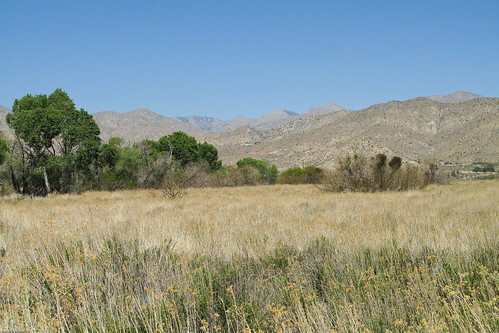 I will certainly keep Big Morongo Canyon Preserve in mind to visit should I ever visit the area. That sure was amazing to see so many “red” birds in one place. So many of them would be lifers for me, too. Something tells me you and Sarah wouldn’t mind vacationing in the Palm Springs area again sometime. Even from LA, it’s a totally worthwhile day trip. You’re right – we’ll be back sometime, although we definitely preferrred the Joshua Tree part of the trip over the Palm Springs portion due to its wildness and relative solitude! 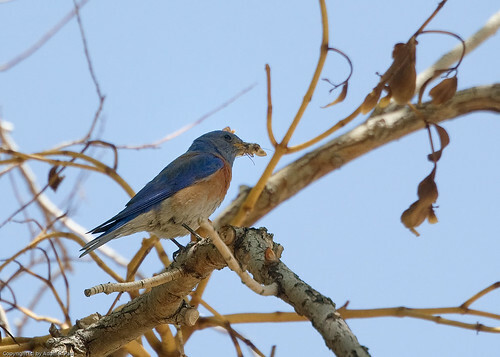 That’s still quite a variety, but best of all, birds you don’t see in the Bay Area 😀 You got a lot of fantastic photos at Big Morongo Canyon… looks like it was a beautiful day. I just love how easy birders are to approach and they’ll show & tell everything! Exactly – I’ve seen many more species at any number of locations, but so many of these are rarities, or just impossible to see anywhere else! It was a nice day, but pretty warm. We definitely benefited from the “kindness of strangers” on this walk. Beautiful series, the sheer variety of birds you managed to photograph is stunning. My favorite is the image of the Blue Grosbeak, apart from having nice details, its beautifully composed as well. Thanks, Thomas! It’s a bird I’ve only seen twice now, but a beauty to be sure. 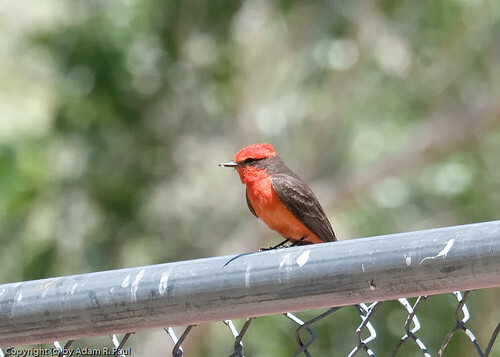 These are great Adam, I really like the Vermilion Flycatcher shots, you must have had a blast wandering thru such a wonderful place !! Sure enough, yes I did! I also regretted not bringing my normal birding lens, as I wasn’t expecting the trip as a whole to be so birdy. Oh well, information for next time! WOW, I would love to just to see these birds, your photos are awesome. 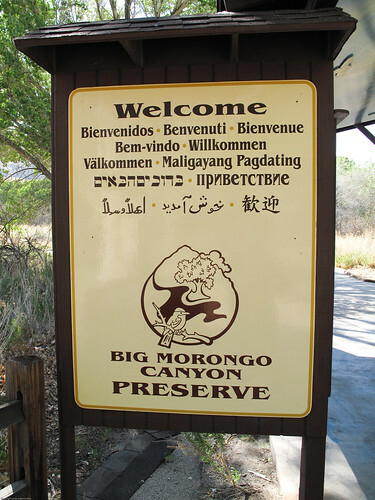 Thanks, Eileen – if you ever are anywhere near there, it’s totally worth some effort to visit Big Morongo Canyon. Well, maybe not smack in the middle of summer, but even then there are numerous local birds there that are rather difficult to see elsewhere. 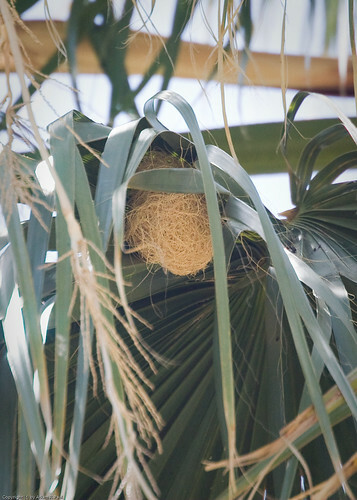 Adam — that nest you saw attached to the underside of a palm frond would belong to one of the oriole species. That’s exactly how and where they buiild their nests. Offhand, I can’t say if it belong to a Scotts, hooded or Bullocks oriole.